This article explains how an overseas trained plumber can work in Australia. There are 2 very different processes. Do I need Australian licensing to work in the trade? In Australia, Plumbers and Electricians are generally speaking the only 2 trades that require you to have a license to work in Australia. Additionally, there is not one governmental licensing body for all trades, you need to be licensed in the state that you are performing the work. So for example, if I am licensed to work in QLD, I still need to apply for a license if I want to do any plumbing work in NSW. 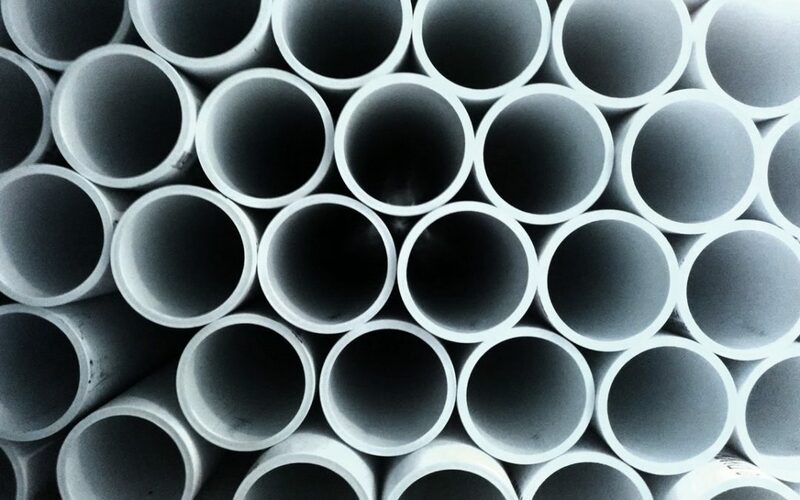 Because it can take some time in order to apply for your license, it is common for many foreign-trained plumbers to work as a trade assistant for a plumbing or construction company. A trade assistant assists qualified tradesmen and is not qualified for the role. What if I’m already in Australia on a student or working holiday visa, can I apply to get a license to work here? Yes, you can. The first step towards applying to for a license is varies depending on which state you would like to apply to work in. However, most states require you to apply for an Offshore Technical Skills Record (OTSR) or to obtain an Australian qualification. Can I apply for a license if I am overseas? Yes, you can. The first step towards applying to work in Australia is that you apply for an Offshore Technical Skills Record (OTSR). Many foreign trades workers are highly skilled in their trade, however, there are often different requirements to work in a trade in Australia compared to their home country. The way their skills are applied are different in Australia to back home, this is a skills gap. The skills gap of Australian and foreign trades practices stems from the different standards enforced in each country. There are different government regulators, different workplace rules and different safety codes to follow. Even in Australia, there are differences in each state’s regulations and practices. What might be acceptable in QLD is not acceptable in NSW. An offshore technical skills record (OTSR) allows an assessor to determine which skills need to be addressed in the gap training. Upon successful completion of an OTSR, it allows a person to obtain a provisional license which allows them to work under the supervision of a licensed trade worker. The worker must then undertake gap training at a registered training organization and complete supervised work in order to obtain their full license. What is the process to gain licensing? Obtaining a full license in Australia can take a considerable amount of time. Below is a brief outline of the steps required to gain licensing for someone who is qualified in their trade in their home country. 1. Apply to have an Offshore Technical Skills Record (OTSR). An OTSR is done through a registered training organization. There are numerous organisations eligible to provide an offshore technical skills record around Australia. During an OTSR, the applicant must demonstrate that they have the technical skills required to work in the occupation in Australia. They do this by checking your previous education and experience with the technical competencies that are gained through an Australian qualification. Once you have completed an OTSR you can apply to the licensing body in your state for a provisional license. A provisional license allows you to work in your trade under the supervision of a licensed tradesman. Under your provisional license, you will need to undertake additional training in order to be provided with the Australian qualification to work in your occupation. Whilst on a provisional license the holder must work supervised in Australia and undertake gap training, or Australian specific training. For example, you will need to undertake a training course in Australian safety standards. When you obtain your OTSR you are generally given a list of short courses or training that you must undertake in order to obtain this license and a time frame in which you must complete this training (usually 12 months). 5. Apply for a full license. Once you have obtained your Australian qualification you can then apply for your full license. Please note having a full license to work in Australia does not guarantee you a work visa. You will still require an employer to sponsor your visa or apply through general skilled migration. Provisional Licensing vs Full license? A provisional license is often granted after you have completed your OTSR. Under a provisional license, you must work under the supervision of a licensed tradesman. However, you can undertake gap training in order to obtain your full license. What Australian Qualification do I need to work in the occupation in Australia? Having a license to work in a trade does not mean you will qualify to obtain a work visa in Australia. Additionally, you may be able to obtain a work visa to Australia without licensing (however you cannot work as more than a trade assistant until you obtain full licensing). What are the most common visas to work as a Plumber in Australia? • To apply for general skilled migration (189 or 190) licensing is usually not required for the visa to be granted. • For employer-sponsored visas (457, 187 or 186) licensing is usually required, however, visas are often granted without a license in place. The applicant cannot start working in the role without a valid license. • Students or Working Holiday Makers do not require a license for the visa, however, may obtain a provisional license or work as a trade assistant to a qualified tradesman in Australia. For most countries, only general skilled migration visas require a skills assessment. However certain countries require a skills assessment before they can obtain an employer-sponsored (457 or 187) visa. Unfortunately, international students cannot undertake an apprenticeship in Australia. However, there are many international colleges that offer a course that allows you to become a qualified tradesperson in Australia. Most of these courses include at least 360 hours of work experience with a qualified tradesperson. Have a look through this link for some available courses in Aus. What is the difference between licensing and a skills assessment? Most onshore skills assessments are done through Trades Recognition Australia. Can I study to become a plumber in Australia? Yes, you may be able to become a qualified plumber in Australia. Have a read through here for more information on the different trade courses on offer in Australia. Can Foreigners do a trade apprenticeship in Australia? Generally speaking, the answer to this question is no. Just because it is very difficult to obtain a valid work visa to undertake an apprenticeship in Australia. Find out more info here. Hi I would just like to know more about applying for a visa to work in brisbane as a plumber. Please assist via email thank you. I Hope you can help me or guide me in the right direction. Me and my wife are looking at immigrating to Brisbane from South Africa. We have already got all the immigration documents, as we will be applying in her name, she is a teacher. I am a plumber in trade for the last 12 years, did my 4 years apprentice and passed my trade test in 2010 through Services Seta. I have since then had my own company. I have done some research on the net but still find myself in the dark as to where too from here. What I basically would like to know, what do I need to do or where to apply to become a qualified and licensed plumber Aus, or what are the channels that I need to follow? I would really appreciate it if you can assist me in the right direction, or links on where or what I need to do. We would love to assist with your PR application. Thank you very much for returning my email. 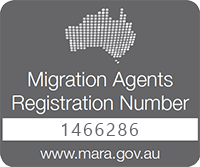 We are busy working with a Registered Migration Agent, and am applying for skilled Visa 189, under my wife’s name as she is the main applicant. In regards with my plumbing, are there anything that I can do on my side in South Africa so long to make the process easier for when we will be moving to Brisbane, esc. getting the licensing done here to become a qualified plumber in Australia, or any sort of trade test that I can complete on my side? I will also be doing a skills assessment, that is compulsory in applying for the skilled Visa 189, even tho I am not the main applicant. I understand that I do however need to apply for a regional licence to work as a plumber in QLD, I think it is called a white card? Will I only be able to apply for this licence once we arrive in Brisbane or can I apply for the licence from South Africa? So what it all boils down to, is what do I need to do to have the same, equivalent qualification in Australia as to what I have in SA, being a qualified plumber? Sorry if I have bombard you with all the questions, I am just trying to gather as much information as possible. Respected sir/ma’am, I’m a self employed plumber in Punjab, India. I’m in this trade since September,2012. I also have one year ITI diploma in Plumber trade in India. I want to move to Australia, so visa suits to my profile. But I have no licence to work in Australia, so please let me know what can I do? Where I have to apply ? Do I have to go through a practical skill test in India which may be organised by Australia skill assessment authority before apply for or qualify for a visa to Australia. Or do I apply for a short term course in plumber trade in Australia? I found the information on the website a bit complicated. I’ll wait for your kind response. Hi, I’m a 24 year old from the UK with city and guilds level 3 in Plumbing with almost 5 years experience. I am wanting to migrate over to Australia on the skilled migration visa. Please could you contact me and hopefully we can get the ball rolling? 2)course classes time and Work. How many days and how many hours we will being taught in a week? Thre will be some time Work work for us while stud?? ….is there any other requirements like physical strength ,Im just 19 years old ,,,,or clear vision (cause I have been wearing glasses,,,it may cause problem to me? ). This is very useful blog for workers who wants to work on Australia for plumbing. My cousin is also a plumber i would suggest him this blog. Thanks for sharing. Hello Ariana and thank you for your feedback! Hi guys, I’m a 24year old city and guilds level 3 qualified plumber from jersey in the uk, i’ve had my level 2 qualification for the allotted time (4 years including 12 months training), is this enough to allow me access to the Vetassess course and therefore the 189 visa? Would love some more specific information on my situation as my girlfriend is australian and we would like to start our lives there together as soon as possible! Any help would be appreciated, thanks. 2) shall i need plumber certificate in india to get job in australia as a plumber but i am coming for studying purpose on a student visa…. Hey, Fully qualified plumber from Ireland, 10 years working in the trade, will be moving to Melbourne in march 2019, any advice you could give me would be greatly appreciated. hello. fully licensed and qualified plumber from Norway. been working 4 years, full time. just looking at options for relocation. any advice? Hi, are ACS Gas Qualifications recognised in Australia? Been a plumber and Heating tradesmen since 1998. Hi, this is Ryan Noh and I am a plumber in New Zealand with National Certificate in Plumbing(level 4). I did not pass the New Zealand Plumbing Board Exam yet. I have some questions that I would like to ask you but first I apologise for asking sudden and random questions. Can I apply for a plumbing license or work as a plumber in Australia with this qualification? If not, Is there any best way to be able to work in Australia and to study Craftsman Plumber in Australia? I’m a Qualified plumber from South Africa with over 15 years experiences and 7 years qualified. Im looking at immigrating to Australia with my family, wife and 3 kids. I have read the comments above and hoped that you could forward relevent information on how I could work in Australia? Hi, I’m interested in becoming an electrician in Australia, but I am confused about the process in becoming one. Am I supposed to obtain the OTSR and provisional license before undertaking the traineeship for certificate 3 Electrotechnology? Hi, I’m from Scotland and have an SVQ level 3 in plumbing and have my gas certificates. I have been in the trade for 16 years, 12 years fully qualified and am self employed now. I understand that different areas in Australia have different requirements for gaining a license. I’ve been looking into it recently and looks like getting a job as a plumbers mate looks like the most common way of doing it and then gaining the correct certs to become qualified and get a license. However I’m on a plumbing & gas forum and there has been couple of guys that have worked in Australia from Scotland with SVQ level 3 saying that they gained a license in Queensland with the Scottish certificate without doing further assessments. Would be grateful if you could shed some light on this and let me know if this is correct and which states accept level 3 SVQ to gain a license?